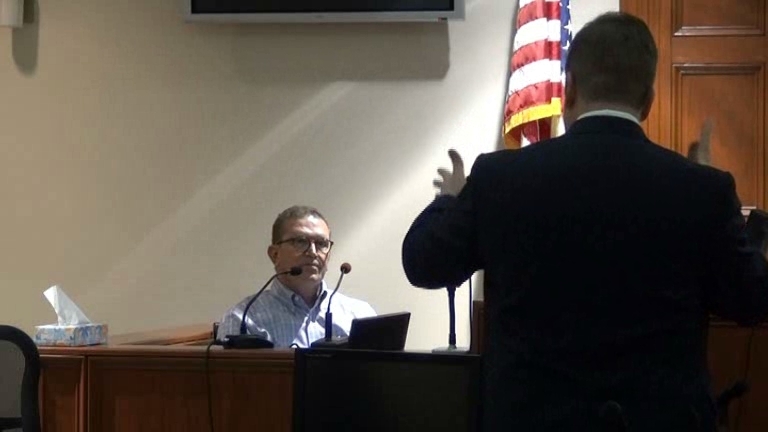 Pittman also testified that he had driven to the IHOP on that road and witnessed on at least one occasion that an OWT truck was causing the noise. In 2012, then Magistrate Court Judge Eric Norris found Elder in violation of a county zoning ordinance for operating his Oconee Waste Transport business on SR 15 south of Watkinsville before 6 a.m.
Barth said on Friday he will issue a ruling on the charge of violation of the county’s Noise Ordinance within a week. Smith wrote that OWT was “creating loud noise prior to 7:00 a.m.” in violation of the county’s ordinance. Pitman said on a number of occasions he got up, got dressed and drove to the site of the sound to witness the emptying of the dumpters. Pittman testified that he observed OWT emptying trash behind IHOP, in the period between Dec. 29, 2016, and Jan. 20, 2017, and placed a call to the county, leading to the citation. IHOP is on Epps Bridge Parkway but has an address of 1061 Parkway Place. Code Enforcement Officer Smith, who retired in October after 14 years of service to the county, said the problem of haulers making noise while picking up trash in commercial areas near residential ones has been a long-standing one in the county. Smith testified that he did not directly observe OWT operating in the commercial area on Epps Bridge Parkway during the period covered by the citation but relied on the information provided him by Pittman. Smith added that issuing a citation was not done lightly. Jeffrey Rothman, an Athens attorney representing OWT, did not call any witnesses, though he did cross examine both Pittman and Smith. In his closing remarks, he argued that “There is zero evidence” that a violation by Oconee Waste Transport occurred during the period listed in the citation. Rothman also argued that the exemption in the county Noise Ordinance for “noises arising from normal and customary transportation and agricultural activities” applied to the noise produced by waste hauling. Judge Barth said he would take the case under advisement, review the statutes, and reach a decision in the next 7 days. I filed an open records request on Nov. 9, 2017, to gain access to the investigative file related to the Jan. 23, 2017, Noise Ordinance citation issued to Oconee Waste Transport. The video of the trial on Friday is below. The audio system in the courtroom was not operating, but I was able to amplify the voices in editing. Smith spoke very softly, and, at times, his voice remains difficult to hear. Pittman’s testimony begins at 8:40 in the video. Smith’s testimony begins at 26:30. Rothman made his closing remarks starting at 49:06. Slider’s closing comments start at 57:03. 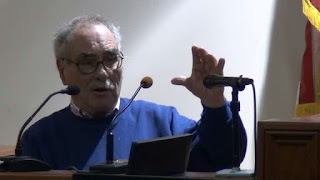 OCO: Magistrate Court 1 12 18 from Lee Becker on Vimeo. This is an edited version of an anonymous comment left on the blog. Example: He bid on country contracts for waste hauling, and he pushed his bid to the absolute limit while also claiming a preferred "local contractor" status... However, it turns out he actually overbid, and when the Oconee Commissioners were about to award the contract to another vendor, he threatened to move his business to another country. The commispinners allowed Elder got to recalculate his bid to, you guessed it, the maximum allowable limit while claiming the local contractor status... and he got the contract. He also owns the old car wash on Experiment Station Road, an eyesore full of his OWT dumpsters The only reason he owns it and hasn't done anything with it : he thinks GDOT will buy it one day to create a Watkinsville bypass. Same thing with the maintenance shed in downtown Watkinsville! He is holding out for a big pay day! I eliminated parts of the post because of their nature. So many things with this situation involving Courtney Matt Elder Jr. and Oconee Waste Transit to ponder. Courtney Matt Elder Jr. is somehow a member of the ever powerful Oconee County Industrial Authority, yet has had a number of run-in's with the county's noise ordinance, the Oconee County Code Enforcement office, admitting in 2012 OWT was operating trucks on his lot before the allowed opening time, the issue with for bidding on county contracts that commissioners got involved in, etc.. etc. Should being a member of the Oconee County Industrial Authority come with the expectation of cooperation with the county and operating a business within the county in an ethical manner?? Also, the other previous comment nails a big elephant in the room the Board of Commissioners under Melvin and now Daniell have ignored for far too long: That monstrosity across from the Sherriff's Dept., Oconee Post Office and Oconee Library. Courtney Matt Elder Jr. has a bunch of OWT dumpsters overflowing in his old car wash on the stretch of Experiment Station Rd with the Sherriff's Dept., Oconee Post Office, Oconee Library and county Health Department; it is a prominent and important stretch of road as any in Oconee. It's a disaster of an eye sore. For a member of one of the proverbial "Old Oconee Families" to be responsible for such an embarrassment is troubling. If you are proud of your county, why would you be responsible for such an eye sore in a high profile area?? ?